The secret to effectively answering MBA essay questions is understanding what information the admissions committee is looking for and knowing how to give it to them. As you prepare to apply for your MBA, you may notice different iterations of the same essay prompt appear on several of your applications. Why? Because most business schools generally want to know the same things about MBA candidates. At first glance, it’s likely you’ll have knee-jerk responses to each query, but before you put pen to paper, it’s crucial that you take some time to reflect on your responses in order to avoid spilling 500 words of irrelevant personal information. We know you’re reading this in order to gain insight on a few of the most common MBA application essay questions, but first, it’s important we give you the tools you need to formulate thoughtful responses that will woo the admissions committee. 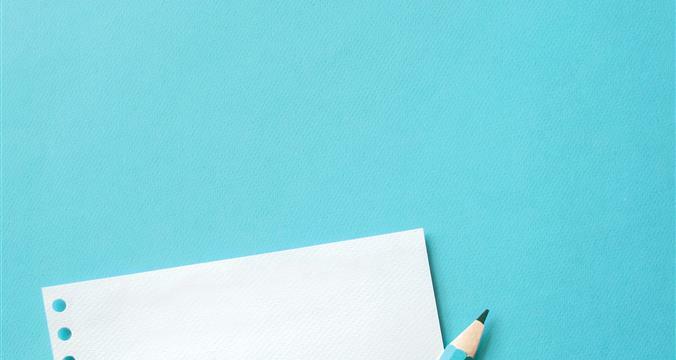 → Step 1: Get a head start before the application is released by making a list of the qualities you would most like to present to the admissions team. → Step 2: Each question in your MBA application will pertain to a specific quality. As you read through the required essays, categorize the prompts according to the quality they relate to. For example, if the question asks about your community contributions, this is a service question. Be warned: They won’t all be this easy to categorize… But by taking the time to understand what each prompt is aiming for, you’ll be more likely to hit the bullseye with your responses. → Step 3: Now, go back to that list of qualities you outlined in Step 1. Reflect on your strengths and begin to jot down topics and stories that communicate three to five of these qualities. Yes, just three to five. We know that you probably have many more to share, but the most successful applications zoom way in on a handful of outstanding qualities. Remember: Space is limited... so use it wisely. Have happened in the last few years. Present you as the main character. Warning: Don’t forget the formula above while you read this next section. Below, you will find a few common MBA essay questions and effective ways to tackle them. Keep in mind that these responses are not universal. What works for one applicant may not be right for you. It’s crucial you stay true to yourself. This will always result in the most successful MBA application. Right off the bat, this question may seem simple. If you’re applying to business school, you surely have reasons for wanting an MBA.... But not so fast. This question is less about describing your personal reasons for wanting an MBA and more about convincing the admissions committee that you need an MBA more than other applicants. Lay the foundation by discussing your background, skills, and future goals. Then, build a narrative about how this MBA is the next step in your personal evolution and the key to unlocking your full potential. It’s okay to have ambitious dreams… but at the risk of coming across as unrealistic, sometimes it’s best not to mention your aspiration of becoming a CEO in your application. It’s typically best to take the pragmatic approach. It’s okay to communicate more modest goals such as gaining new insight or having new experiences. Leadership isn’t about telling your team members what to do. It also isn’t necessarily about saving the day. The best leaders do more than delegate and direct, they foster collaboration. Good leadership is not easy, so it’s your job to paint a clear picture of a time you showed proper leadership. Holding the title of ‘leader’ is not enough. Remember what we said before about presenting yourself as the main character in your essays? This prompt is your cue to water that down a little. While it is still important to highlight your personal skills, discuss how those skills encouraged the success of your entire team. Another thing: Be sure to get specific about your experience. Generalities will not properly communicate that you understand what it takes to be a successful leader. Any essay about leadership is most effective when the applicant demonstrates clear understanding of their personal leadership style. Before answering this question, do some research on different types of leadership. Ask yourself how you motivate others, the ways you influence your team, and how you communicate approval/disappointment. This will help you better understand how you navigate leadership roles, providing additional insight for your application. This question is not asking for any ol’ fun fact about yourself. When this appears on a business school application, it’s because the admissions committee wants to know how your background, ability, and training will contribute to their program. MBA programs are looking for diversity, so it’s up to you to stand out. This is your opportunity to tell the admissions committee why they should accept you rather than why they shouldn’t reject you. The primary goal of this essay to paint yourself as the individual you truly are, and this can only be done by being true to yourself. Whether you are a first generation college student or dedicate your free time to volunteering, any positive personal stories that will help you stand out from the pile are fair game. When it comes to questions regarding diversity, it’s not enough to simply share a one-of-a-kind story about your life… You must always share the effect your experiences have had by communicating how they shaped your current perspective.